Lucky Title team rider Bayley Maxcy is at it again!!! He will be giving you some tips on how to fuel up allowing you to keep on riding longer and getting to that next level. Without a top notch diet it’s going to be challenging for you to ride hard 24/7. After you read below you should be able to be more prepared and more ready to go out and shred. We all know scootering is good exercise, however lifting weights and running is going to get you more in shape. If you wanna really progress in the sport, exercising can really help your game. Set up a workout plan and stick to it. I guarantee that after a few weeks of working out you will feel super good and strong while riding. Another huge part about staying in shape is eating right. Don't be scarfing down candy bars for breakfast. Make sure you are eating the right amount of calories for your age/weight. Eating a good breakfast in the morning can really help you get through the day with a better amount of energy. Check out this link from the helpguide.org for more information on proper nutrition for kids and teens. Bottom line, kill all excuses. If you work out, exercise, and eat right you will be in great riding condition. Even if its cold and wet out you can still do these things which will definitely improve your riding. 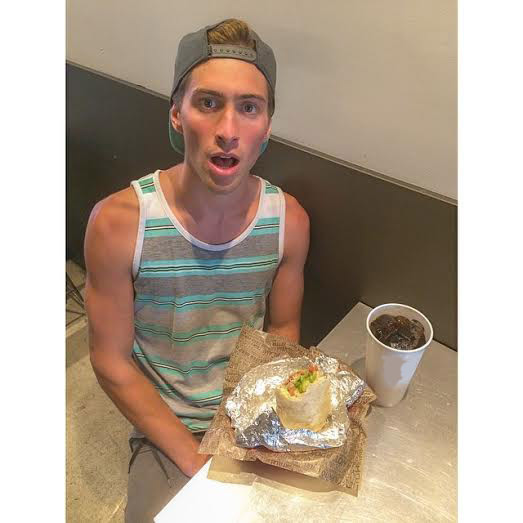 Check out Lucky pro rider Capron Funk eating some yummy Chipotle! HUGE Burritos! !